Wood Media Law is a full service law firm focused on helping start-ups, media production companies and creative individuals meet their business and legal challenges so they can concentrate on making great work. We have the industry experience and legal know-how to bring intelligent, effective counsel to all aspects of creative development, production and distribution in film/video, television, art, publishing, gaming/app development and interactive/new media. Wood Media Law is the full-service evolution of the entertainment law practice Andrew Wood started in 2008. More about him here. Wood Media Law has "of counsel" relationships and close working ties with trusted attorneys and law firms in media and entertainment and along the full spectrum of legal practice areas. Wood Media Law works closely with clients to provide services tailored to their needs and budget, from traditional hourly rates to fixed-fee/unbundled services and dedicated on-call availability. 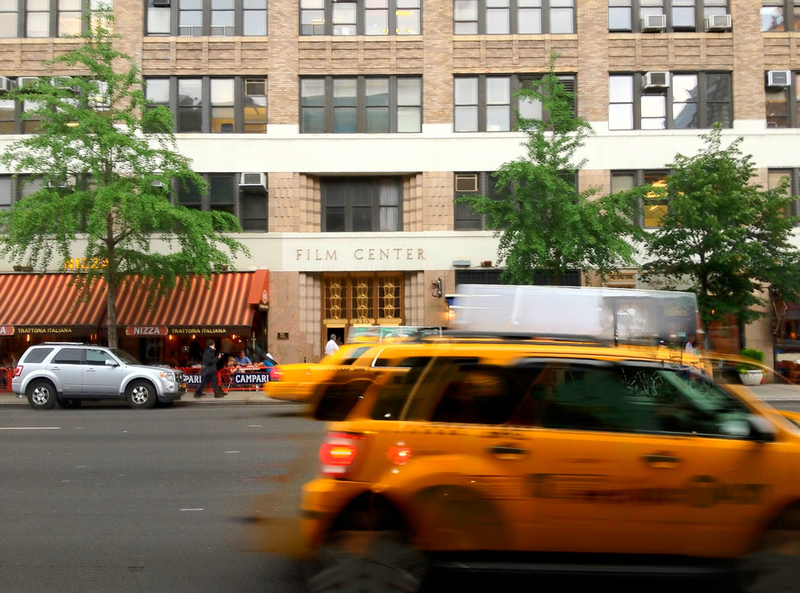 Wood Media Law is located in the historic Film Center building in Hell's Kitchen. Wood Media Law provides comprehensive production counsel as well as certain à la carte legal production services to producers across a wide range of media, from narrative and documentary film, through TV and multimedia projects for various distribution outlets. More detail about how solid production counsel from Wood Media Law can benefit your project is here. Wood Media Law serves as outside general counsel to media, interactive and entertainment companies providing comprehensive, reliable, cost-efficient services. This is true both with respect to legal issues around media creation and distribution as well as with respect to more traditional legal business issues (employment, immigration, complex transactions, real estate, etc.) where the firm works within a trusted network of focused attorneys and law-firms across a wide spectrum of practice areas. More detail about how outside general counsel from Wood Media Law can benefit your company is here. Individual artists, writers, producers and other creative professionals may retain Wood Media Law to help with their employment on a media project, in the option/purchase or license of their work or intellectual property rights, or in many other situations specific to the entertainment industry. More detail about how Wood Media Law helps creative individuals is here. Andrew Wood blogs about work in entertainment law, topics of current interest in the industry, as well as on some more personal—tho not unrelated—topics at New York Entertainment Lawyer, hosted on Tumblr. Hopefully it's of use or interest. Posts and info there are subject to the same notices and disclaimers found here (and it has a few of its own too). Please call us at 212-256-1828 or use the form below to contact Wood Media Law if you’d like to discuss a creative project, get legal help or advice for you or your company, or for any other matter in which we might be of service. Before doing so, however, please read these important notices. Thanks. No attorney/client relationship is formed by entering information here, by email, or by otherwise contacting us. Thanks.